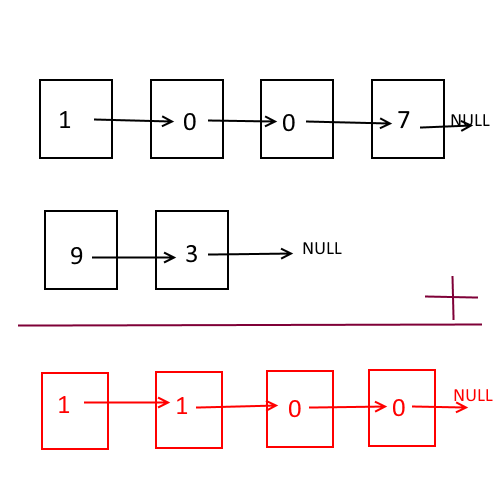 Objective: Two numbers represented by a linked listwhere each node contains single digit. The digits are stored in Forward order, means head is pointing to the last digit of the number. Get the length of both the lists. 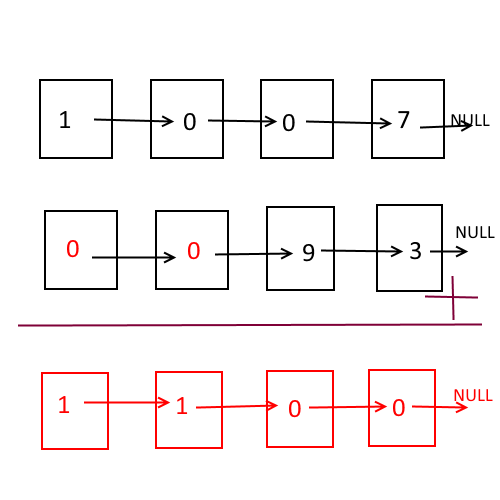 If lengths are not equal, make them equal by adding nodes with value 0 in front of shorter linked list. Create a global variable carry=0. Now using recursion travel in both the list till the end. Take node data from both the lists add them along with carry. Else just create a new Node with sum. Add the newly created node to the result linked list with the help of newHead. 254 queries in 0.146 seconds.